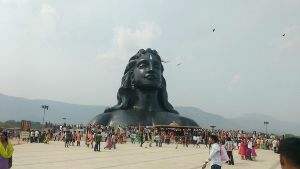 Panoramic Tour & Travels Ltd. 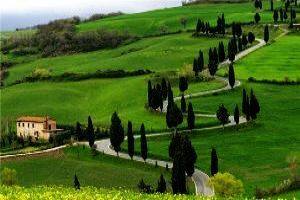 Arrive proceed to Ooty - the Queen of Hill Stations -the most popular hill station in South. Nature has been generous with this region. Apart from coffee and tea plantations, trees like conifers, eucalyptus, pine and wattle dot the hillside in Udhagamandalam and its environs. A tribe called Todas had been living there long before the British came. Arrive at Ooty and check-in at your Hotel. Overnight stay at Ooty. After breakfast do excursion to Coonoor. Coonoor sightseeing covering Sim’s Park, Lam’s Rock, Dolphin Nose, Tea factory and Tea Gardens. Later proceed for the highest peak of Nilgiri Hills - Doddabetta Peak. 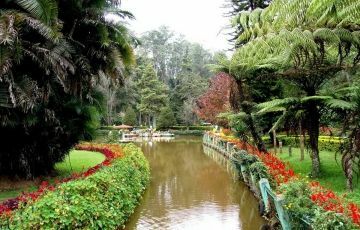 Evening, visit botanical garden and Ooty Lake. Overnight stay at Ooty. After Breakfast proceed for Kodaikanal - The name Kodaikanal means the "gift of the forest". Situated in the state of Tamil Nadu, among the Palani Hills, Kodaikanal hill station is one of the famous destinations of southern India. With its intoxicating air, breathtaking scenery and serenity that you can hardly find in any other hill station, Kodaikanal is an ideal summer resort for the travel buffs of the southern plains. Arrive and Check in at your Hotel. Evening at Leisure. Overnight at Kodaikanal. 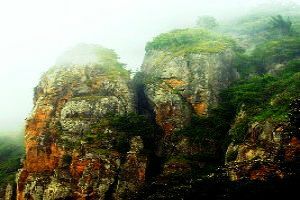 After Breakfast leave for Kodaikanal sightseeing visiting Pillar Rock - located about 7km from the lake, there are three rocks magnificently jutting into the sky to a height of about 400ft. the views from here are spectacular. Valley View Point - is a one kilometer walk from the lake that offers good views. It derives its name from Lt. Coaker, who had prepared the map of Kodaikanal. There is a Telescope House here from where visitors can have a panoramic view of the valley and nearby township. Silver Cascade (Water Fall) - It is 8 kms from Kodai lake. The overflow of Kodai Lake comes down here as a 180 foot high waterfalls. 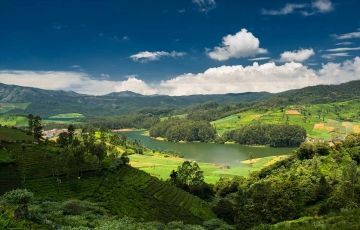 Kodai Lake - The 24-hectare lake skirted by a 5 km long black tar road, is the focal point in Kodai. This lake was created in 1863 by Sir Vere Hendry Levinge (1819-1885). He constructed the bund to form a lake and stocked the lake with fish. He brought the first boat from Tuticorin. In 1890, a boat club was formed and members of the club set sail. In 1910 a new boathouse was constructed. The boat service was opened to the public and tourist as well in 1932. Return to Hotel in the evening. Rest of the day free at leisure. Overnight at the hotel in Kodaikanal. After Breakfast proceed for Coimbatore for further connection. Smooth. Small Hiccups have been conveyed to Panoramic. More packages by Panoramic Tour & Travels Ltd.